As we deal with current market conditions, we’re left wondering if we should stay or cut our losses and forsake the market. I could go on, but let me give you the “executive summary”: August is not a buy-and-hold month. I’ve got to start by saying I feel cautious right now. And because the market has been so temperamental, there have been inconsistencies in the market’s reactions to earnings reports. So, for the most part (outside of Apple Inc.[Nasdaq: AAPL] and Tesla Inc. [Nasdaq: TSLA]), there have been muted responses to the current flow of earnings results. 83% beat their bottom-line earnings-per-share targets. 77% beat their top-line revenue expectations. And earnings growth is coming in at a robust 21%. So there’s been plenty of great news… but stock performance has been muted. And that’s likely due to guidance, the important “second act” of earnings announcements. Of the companies that issued guidance, only 14 reported positive outlooks. Conversely, 29 – more than twice as many companies – issued negative guidance. Neither traders nor corporations are looking forward to the next couple of months. This gloomy forecast is likely one reason we’re seeing such a directionless S&P 500. But I don’t like to attribute trends to single metrics, which is why I’m watching other measures as well. The Best (and Most Profitable) Way to Prepare for Earnings Season: 1,866 publicly traded companies are preparing to report their earnings announcements. That means with the right strategy, you can anticipate the seismic price eruptions powerful enough to deliver life-changing profits. Go here to see how it’s done. First, the risk-on trade, as gauged by leadership of the small-cap Russell 2000, has finally started to waffle. The Russell had been decidedly bullish until the middle of July. And right now, I’m not seeing the kind of leadership I would like from the group, so I’m staying cautious. Second, the S&P 500’s technical dance at critical support could trigger an instant sell-off should downward momentum pick up. Although the index has popped just enough over the past two days to get some breathing room above 2,800, the bottom line is that a break of this round-numbered chart support will likely cause a rush of selling pressure to take over. And while any bounce in stocks is helpful, Apple’s two-day surge post earnings is responsible for a large part of it. One stock, even a trillion-dollar company like Apple, does not make for a sustained strong market. We stay, for sure, but we’re going to be smart about it. Over the next week, I’m going to send my Seismic Profits readers some choice recommendations to leverage what I think will be a definitive directional move. (You can click right here to learn how to get Seismic Profits Alert). Obviously, I can’t share everything we’re doing – it wouldn’t be fair to my paid subscribers – but I’ll be in touch this week with at least one “Best in Breed” recommendation for you. I have some new positions on my radar right now. Some are calls to take advantage of their sector and individual strengths. Others are puts, to make some money on “Worst in Breed” sectors and the overall market weakness. 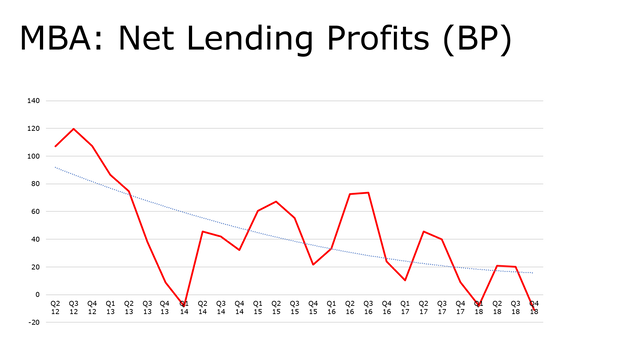 The post Earnings Are Strong, but the Seasonal Trend Is Down – Here’s What to Do appeared first on Money Morning – We Make Investing Profitable.